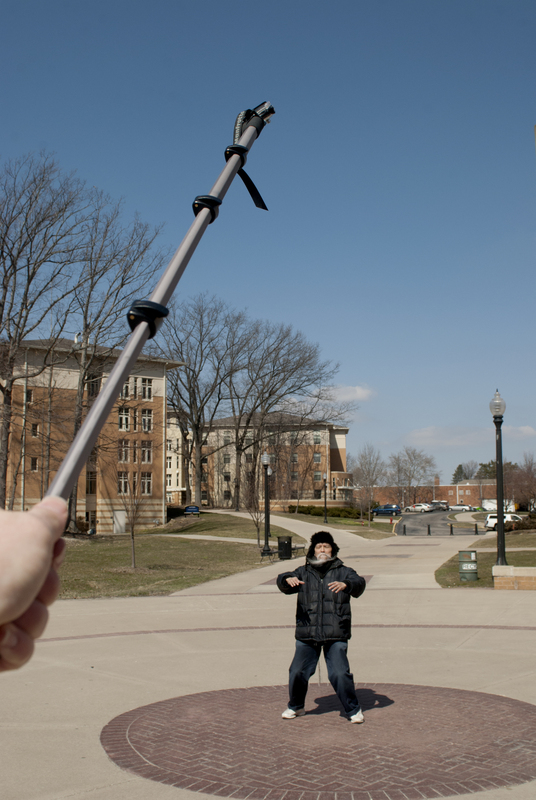 Putting the GoPro on its ‘Time Lapse’ setting and attaching it to my monopod quickly became one of my favorite tricks. This man doing Tai Chi was actually someone I had already met when I was doing a story on a local retirement community being convicted by their new management. I shot this when I was out on a photo walk with some new students when I was helping to run a workshop at the university. I had the opportunity to judge a photo contest for visiting high school students up at the university. They were given two hours to scour the town and campus for the best photos that they could find. While they were out, I took the time to shoot some photos of my own. I even took the obligatory squirrel photo. I got that bird’s-eye-view photo by putting the GoPro on time lapse mode and attaching it to my monopod.